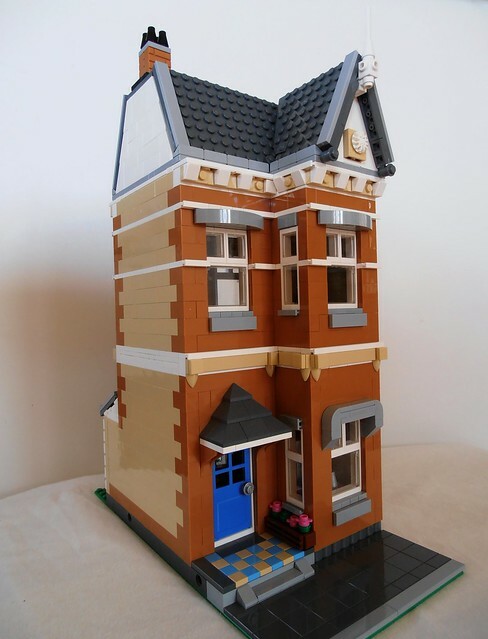 Brick Town Talk: Afternoon Delight - LEGO Town, Architecture, Building Tips, Inspiration Ideas, and more! Wellington Way, Birmingham- (BTT) Often, one's first foray into the greater Lego community online begins with testing the waters with a small MOC or two, and slowly getting larger. However, mattiburgess started out by diving in with this beauty! The exterior features some noteworthy details, such as the windows on the sidewalls, a weather vane, and the cobbled look of the roof, he also built a full back patio and interior! Join me in welcoming mattiburgess to the community, and hoping that all of his future efforts look as good as this!